Dr. Bruck is a dedicated orthodontist who loves to provide her patients with gentle, effective orthodontic treatment that delivers flawless smiles. She completed undergraduate studies at the University of Pittsburgh, and she went on to earn her doctor of dental medicine from the University of Pennsylvania. 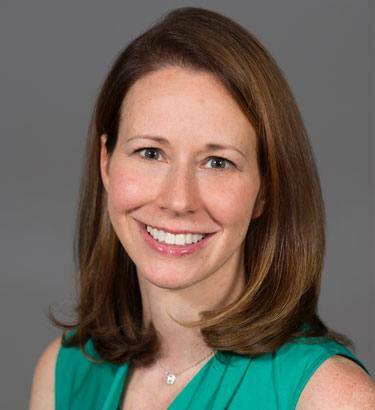 Dr. Bruck completed her general practice residency at Abington Memorial Hospital, and she continued her education by completing an orthodontic residency at St. Barnabas Hospital in New York. Today, Dr. Bruck participates in continuing education courses each year to learn the latest advances in technologies and techniques to ensure she provides her patients the best, most comfortable orthodontic services. When asked about the most rewarding part of being an Orthodontist, Dr. Bruck said, " Getting to know the families of my patients, watching the kids grow up over the course of their treatment, and of course creating beautiful smiles!" When Dr. Bruck isn’t creating beautiful smiles in our office, she loves spending time with her husband and their two daughters, especially grilling and hanging out by the pool in the summertime. Dr. Bruck is a native of nearby Reading, PA, and outside the office, you might also catch her enjoying her guilty pleasure TV show, the Bachelor, or reading her favorite author, Malcolm Gladwell.